MK Avi Dichter says policy of only demolishing homes of terrorists who succeed in murdering their victims will be changed. 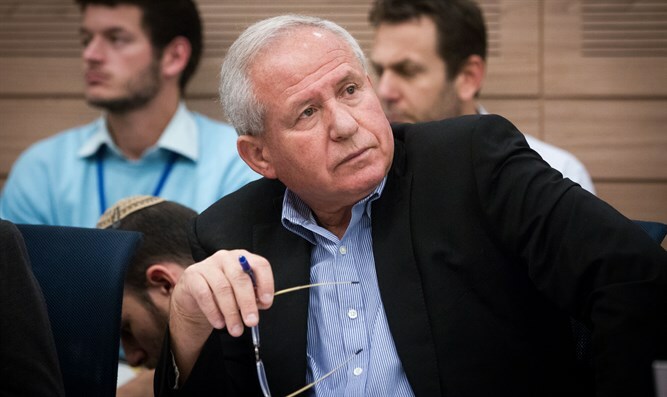 MK Avi Dichter announced at a closed meeting of the Foreign Affairs and Defense Committee that he would see to it that the homes of terrorists who did not succeed in murdering Jews during a terrorist attack would also be destroyed. In effect, the existing practice whereby the State Prosecutor's Office seeks to demolish only the homes of terrorists who succeeded in murdering Jews will be abolished. "The committee headed by me will make sure that demolitions of homes for deterrence will be carried out not only according to the outcome, but also according to the terrorist's intentions and the characteristics of the terrorist attack," Dichter said. He added that "we have reasonable grounds to assume that the political direction of the security bodies on the subject of demolitions will soon change so that there will be no distinction between the outcome of the murder in the attack and the intention to murder Israelis. If we can destroy the terrorists' houses on their heads, we will better protect our soldiers and our citizens" he said.